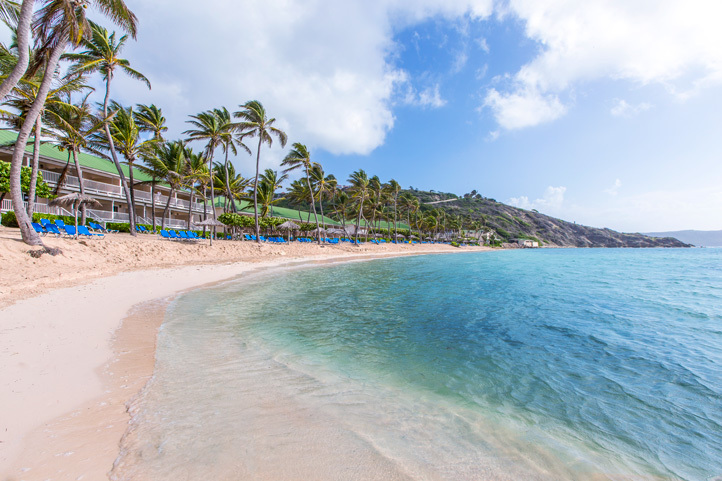 Two white-sand beaches offer a host of fun-filled activities. Coco Beach is like an aquarium for snorkelers, while the calm waters of Mamora Bay are ideal for swimming. 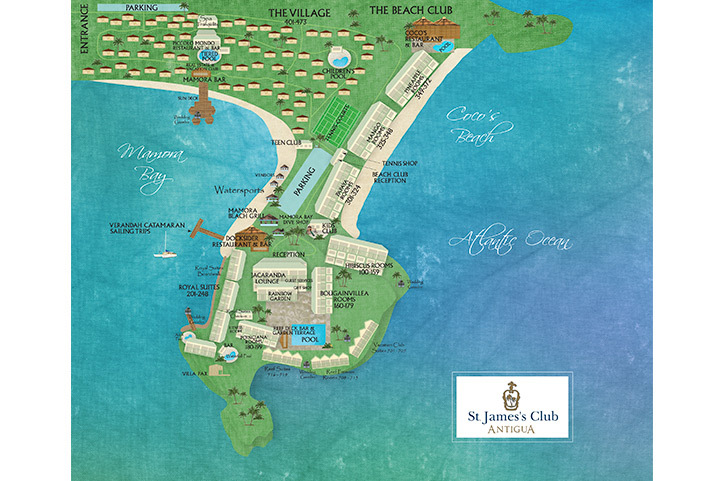 St. James's Club provides complimentary non-motorized water sports such as kayaking, pedal boating and sailing. Rates are per room per night. Minimum stays apply. Based on questions that we regularly hear in our call center, we created this section with detailed answers to further assist you. Q: In the event of a hurricane, what happens to my reservation? A: Click here www.eliteislandresorts.com/hurricane for Elite Island Resorts hurricane policy. 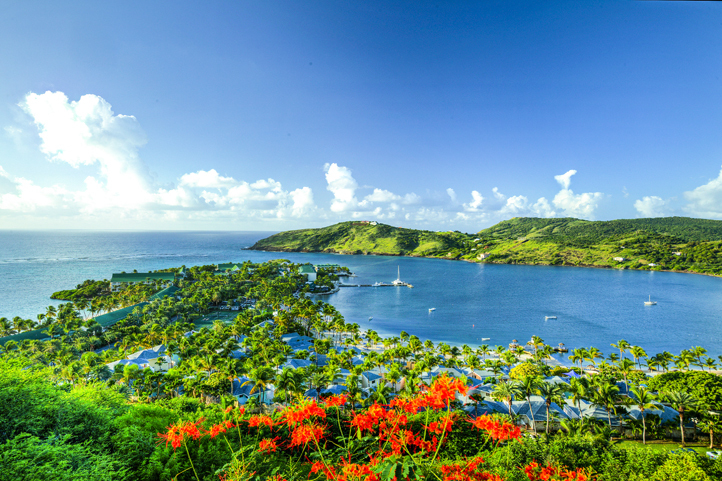 Q: Do I need a passport to travel to Antigua? A: We strongly recommend that all members of your party travel with a passport with a validity date of at least six months past the date of your departure from the island. As of December 31, 2005, a passport will be required for all US and Canadian citizens to travel to the Caribbean. For information on obtaining or renewing a passport please go to: //travel.state.gov/passport/passport_1738.html. In our current times, passports are the most expeditious and reliable form of identification when traveling domestically or internationally. Q: How far away are you from the airport? A: We are 30 minutes from the airport and a taxi will cost approximately US$35 for 1-4 people. Q: Can my room be upgraded? A: Upgrades (based on availability) are included in some packages; otherwise, inquiries can be made at the Reception of the hotel upon arrival. There is an extra fee per night for room upgrades. Q: Is there an ATM at the resort? A: No. The closest ATM is located in English Harbour, a mere 5 mintues by car. The ATM only accepts visa cards. Q: What is the capacity of each room category? 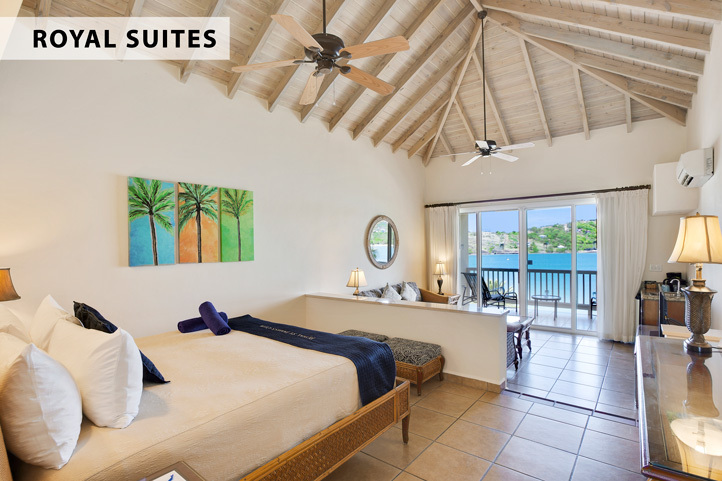 A: Club Room, Premium Rooms and Beachfront Rooms can accommodate a maximum of three adults, and a child. 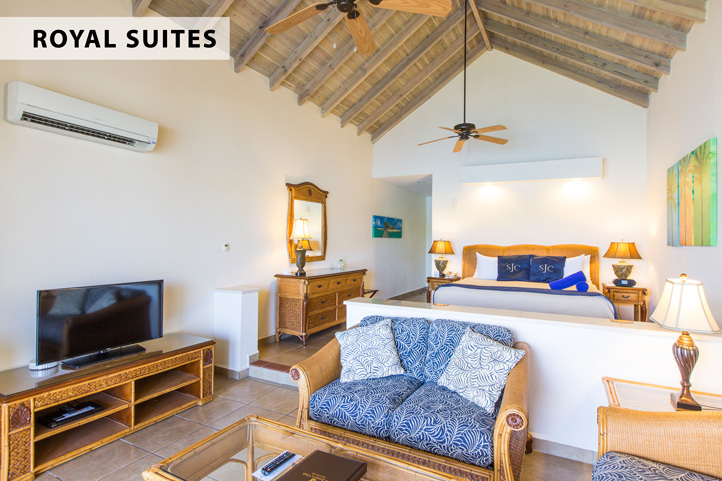 Royal Suites, two adults. 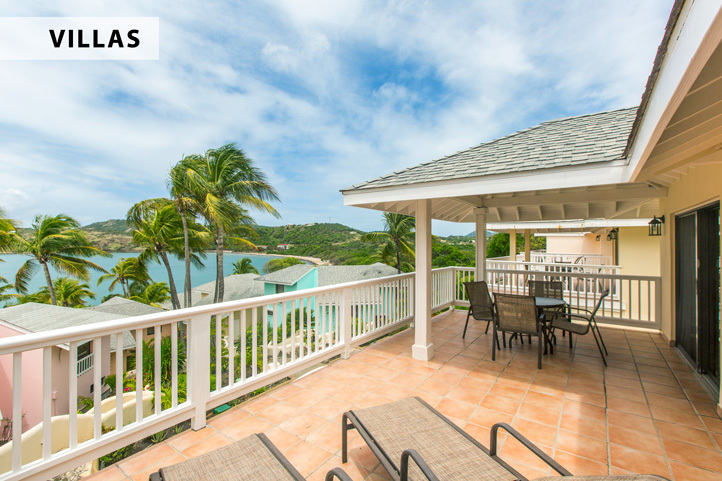 Two-Bedroom Villas can accommodate up to 6 people. Q: What are the differences between the room categories? A: Club Room have one king bed and are ground floor room. 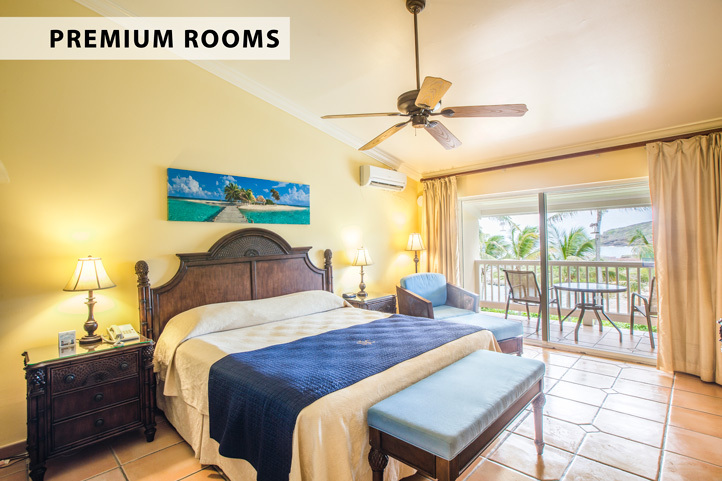 Premium Rooms have one king or two double beds, balconies or terraces. Premium Rooms have ocean views. Club Room have Garden views. 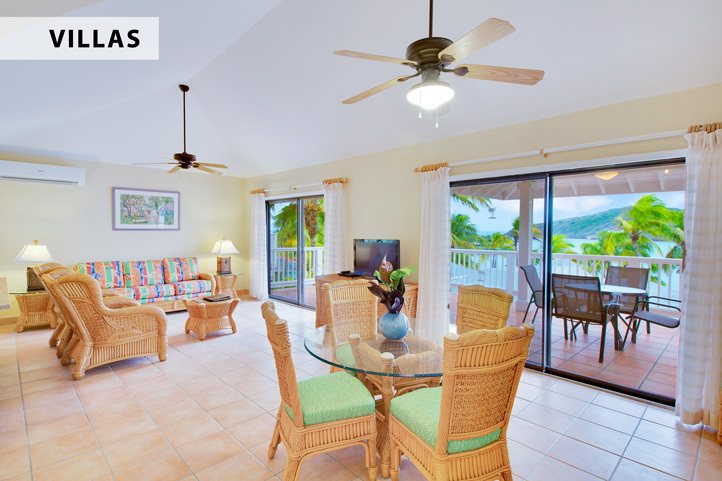 Royal Suites are located at tthe tip of the penninsula overlooking Mamora Bay. They have a separate living room area and king-size bed. 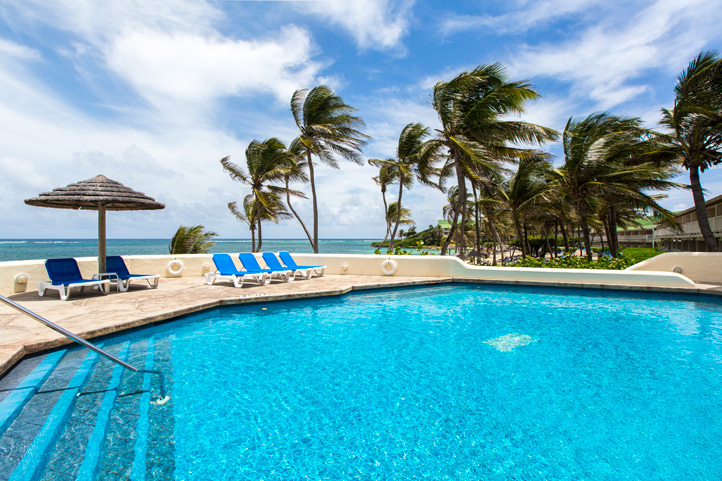 Beachfront are located in 2-story buildings facing Coco's Beach. Two-Bedroom Villas have two levels. The lower level has two bedrooms (one with king bed and the other with two twin beds); the upper level has a dining room, a living room, kitchen and big balcony. Q: Can I have a beachfront villa? A: We're sorry, beachfront villas are not available. 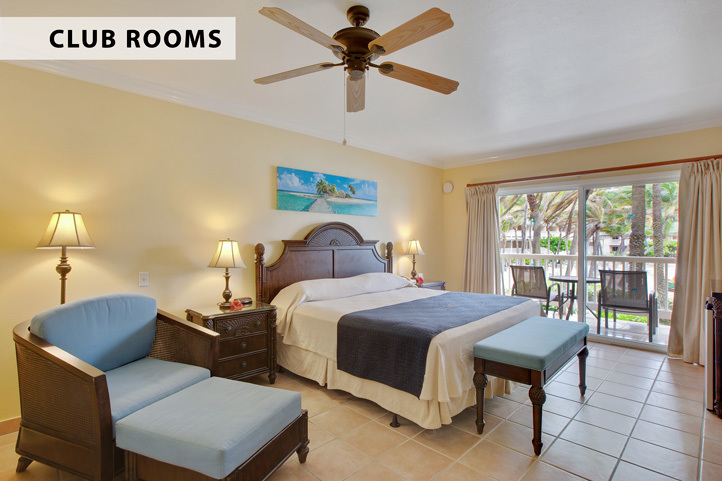 Q: Which room categories are beach front or have an ocean view? 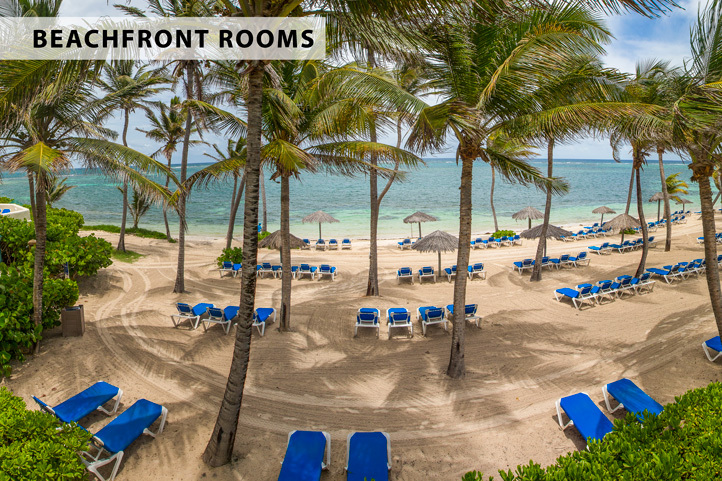 A: The only rooms facing the beach are the Beachfront rooms. Rooms with ocean views are Premium Rooms and Royal Suites. 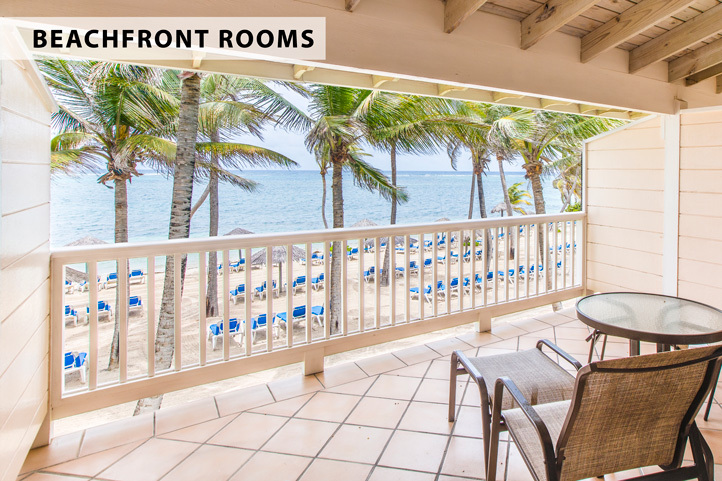 Club Rooms have limited ocean views or garden views. Q: Can I have a courtesy room if I leave the hotel late in the afternoon? A: Late check out from your room can be arranged at an additional cost, subject to availability on the day of your departure. This can be arranged by reception. 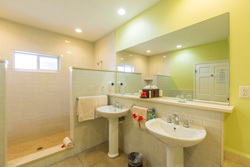 Please note: shower rooms are available for use at a nominal fee of US$25.00. 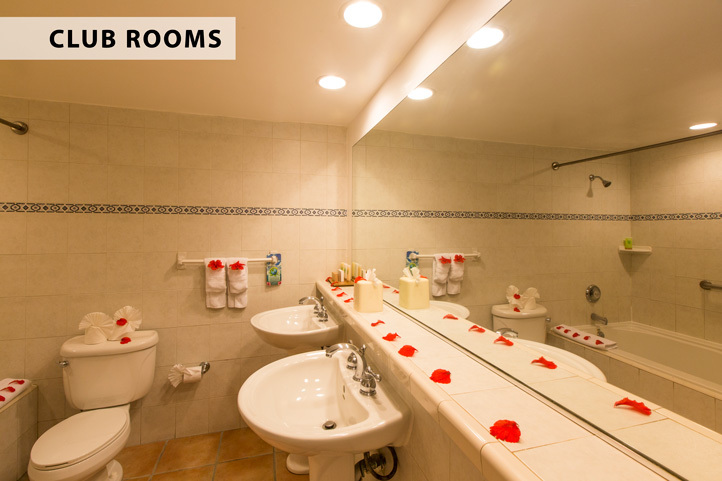 Availability of a shower room is subject to hotel occupancy and room availability. Q: What types of beds do you have in the rooms? 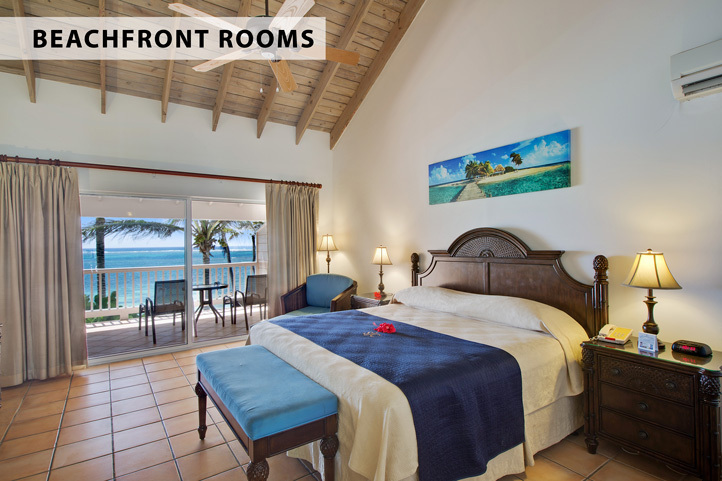 A: Premium Room and Beach Front can have one King bed or two double beds. Club Room and Suites have One King bed. 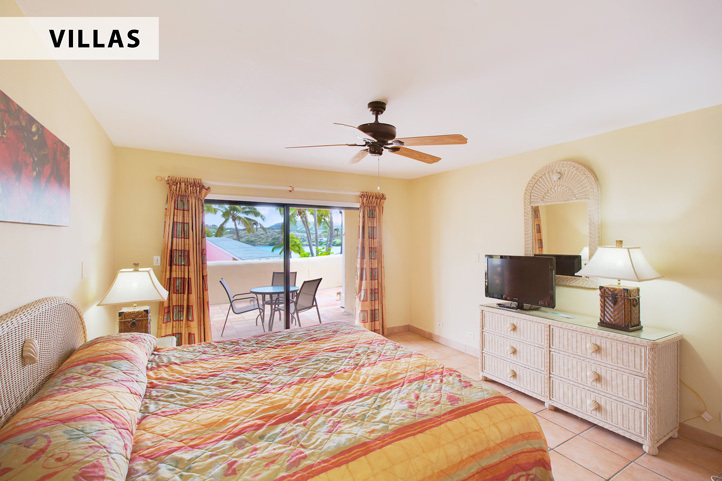 2 Bedroom Villas have one King and two Twin beds. 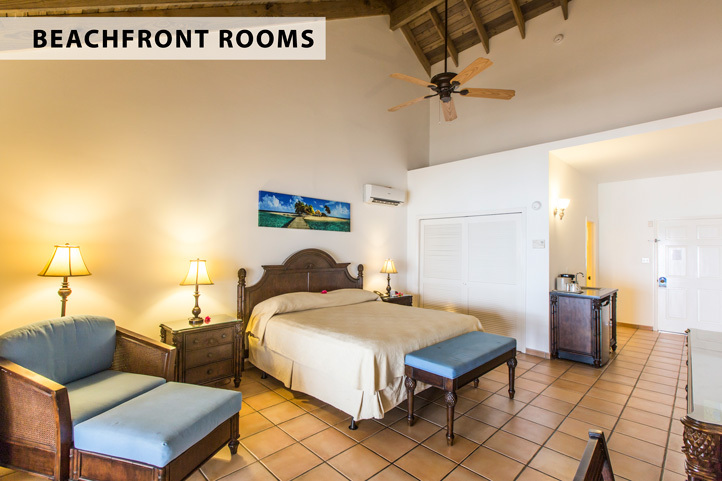 Roll-away beds may be requested, subject to availability, at the rate of US$20.00 per bed, per night, payable locally at the resort. Q: Do you provide cribs? A: Cribs are available upon request at no charge. Q: Do you have rooms for disabled people? 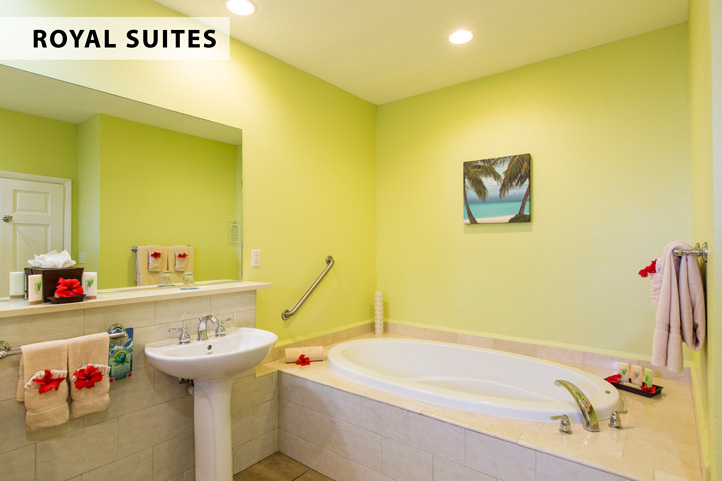 A: Fully modified disabled rooms, such as you may find in the United States, are not available. Ground floor rooms are available. However, some areas and facilities at the resort may not be accessible to disabled persons. Q: Are non-smoking rooms available? A: All rooms are non-smoking. Q: What are the telephone charges to dial internationally? A: A connection charge of $3(USD) will be charged to your room. Calls to the US AND UK are approximately $15(USD) for the first 5 minutes, and approx. $5(USD) per minutes after. Q: Does my room have a fridge? 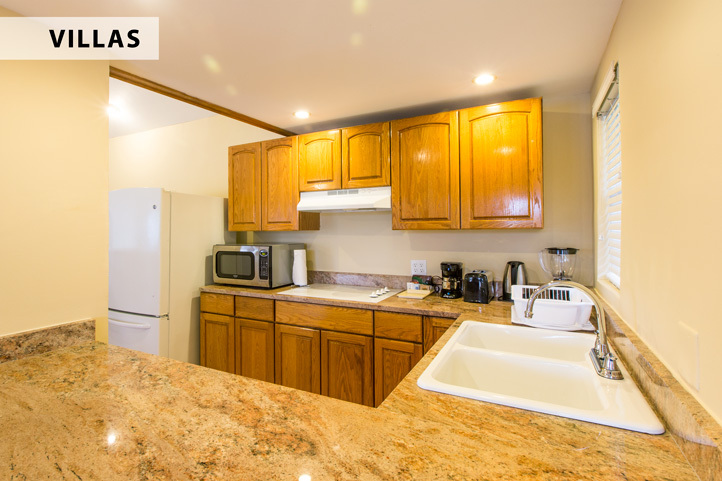 A: All rooms have a mini-refrigerator in them. They do not come stocked. Q: Are there alarm/clock radios in the rooms? A: All rooms have alarm/clock radios. Q: Are there hairdryers, irons and ironing boards in the rooms? A: Hairdryers are provided in every room. Ironing boards and irons are available upon request. Q: Are there telephones in the rooms? A: All guest rooms have direct-dial telephones with worldwide service. Complete telephone and fax services are available at the resort. Q: Do the rooms have ceiling fans? 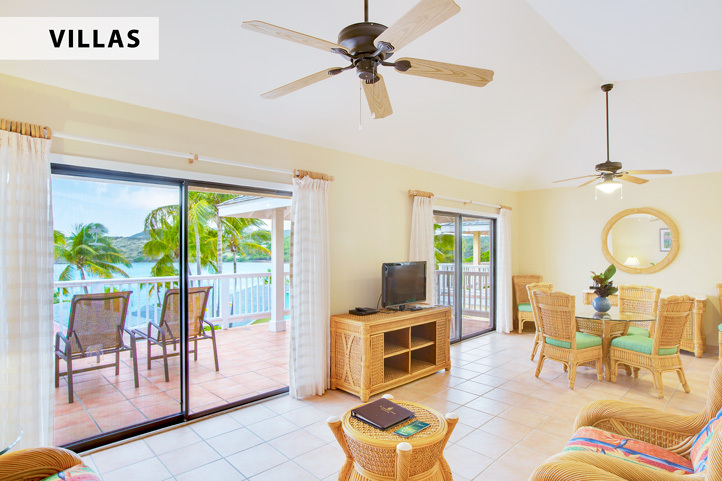 A: Yes, all rooms have ceiling fans. Q: What is the voltage in Antigua? A: The voltage is 110v as in the US. Q: Is use of the in-room safe included? A: Yes, it is. The safe key and lock will be handed to you upon check-in. Q: Can I drink the tap water? A: Yes - tap water is safe to drink. Bottled water is also available, however, is not included in all-inclusive package. Q: Do I have to make reservations at the restaurants? A: Dinner reservations are accepted no earlier than 24 hours in advance at the Guest Services Desk. Menus are posted both at Guest Services and in the lobby the eve prior. Q: What is the dress code at the restaurants? A: At The St. James's Club, a 'Summer Casual' dress code for evening dining will apply. At The Piccolo Mondo Restaurant, dress is elegant (long pants and collared shirt). Ripped Jeans, Flip Flops, all Beachwear, T'Shirts and Trainers are not considered 'Summer Casual'. Q: Do you provide snacks between meals? A: We have a snack bar at Coco's Restaurant and a BBQ on Mamora Bay open until 4pm and they are included in the All-Inclusive plan. Afternoon tea is served daily at around 4pm. Also, a variety of snack items are available from the resort's gift shop & deli at an additional charge. Q: Do you cater to vegetarians and vegans? A: We offer a wide variety of menu and dining choices, which include some vegetable and vegetarian dishes. However, our vegetable and vegetarian dishes may include ingredients that are not vegan, as we do not cater specifically to a vegan diet. 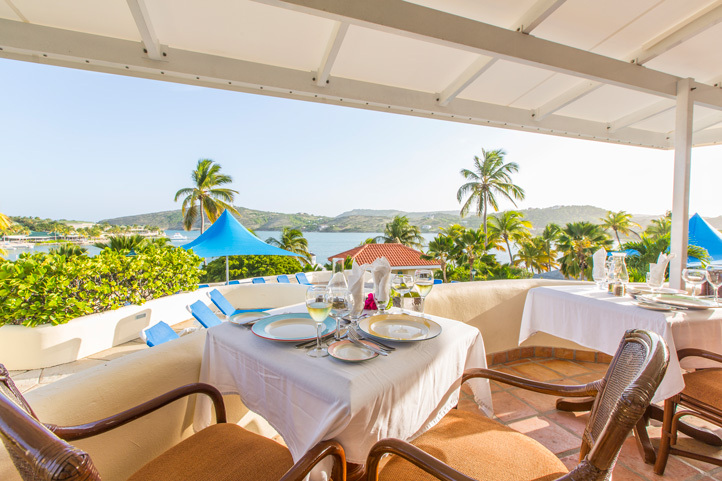 Due to the all-inclusive nature of the resort, we are not able to arrange private meetings with the Chef, or create individualized menus or meal plans for our guests. Thank you for your understanding. Q: I have a restricted diet due to allergies. Will I be limited to the meals on the menus? A: We frequently receive questions regarding special dietary needs, restrictions or preferences. In an all-inclusive setting, we are not able to accommodate individually tailored meals for specific guests. We do offer a wide variety of meal choices, which includes salads, fresh fruits and vegetables, and vegetarian options. However, we are not able to cater to specific individual needs such as vegan, gluten free, allergen free, religious observance, or similar custom made dishes. Q: Do you have children's menus? A: Yes, our Kidz menu is available in three restaurants plus kids dinner is served at the Kidz Club at 5 p.m. daily. Piccolo Mondo does not offer the childrens menu, however children are welcome but will be subject to the $40 surcharge of all-inclusive. Q: Can I have room service? A: Room Service is available from 6:30am to 10:00pm and it is not included in the all-inclusive package. Q: Are all meals buffet? 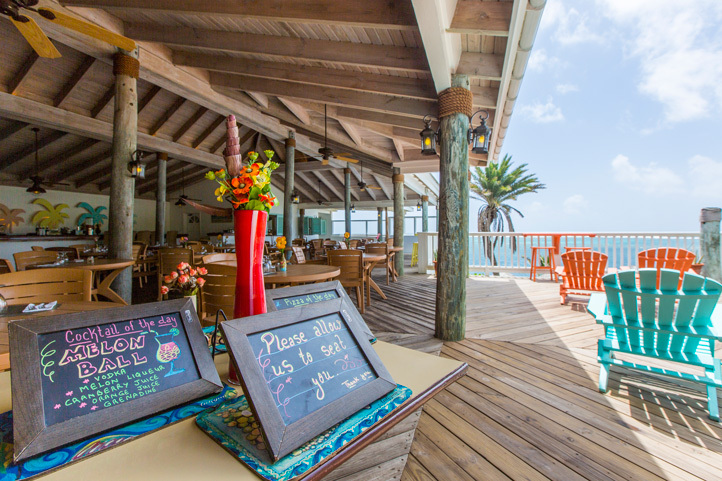 A: No, St. James's Club offers four distinct restaurant options: The Docksider Restaurant is a wholly buffet service restaurant, offering themed buffet options. The Rainbow Garden & Piccolo Mondo restaurants serve diverse à la carte options (a supplement of US$40 per person is required at The Piccolo Mondo). Additionally, we offer a fusion grill menu at Coco’s Restaurant, with service from 11am - 11pm daily. 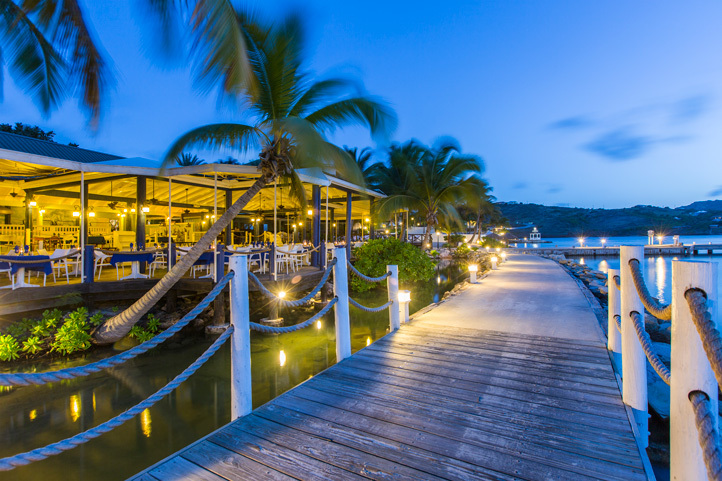 Q: Is there a surcharge to dine at any of the restaurants at the resort? A: Yes. At our fine dining restaurant Piccolo Mondo, there is a per person surcharge of $40 for guests on the all-inclusive plan. For those staying on the European Plan, regular menu prices will apply. Q: If my flight gets in late, is there a place to get some food? A: Should you arrive at the resort after dinner, you can order Room Service until 10pm. However room service is not included in all-inclusive. Q: When is the Manager's Cocktail Party? A: Every Monday at 6:30pm. Q: What are the hours of the Kidz Club and from what age children are accepted? A: Monday to Friday from 10am to 11pm. With a lunch break from 12:30pm to 1:30pm. Children from 4 to 12 years of age are accepted. Children must be fully potty trained. Hours are subject to change. A: Yes, babysitting is available for an additional cost per hour. Q: What type of night entertainment is offered? A: From Karaoke to Disco Nights. Live Reggae and Calypso bands. Steel Bands. Guest participation contests and much more! Q: Are there theme nights? A: Monday is our Gala Night and Thursday is our Caribbean Night. Q: How far is it to the nearest shopping area? 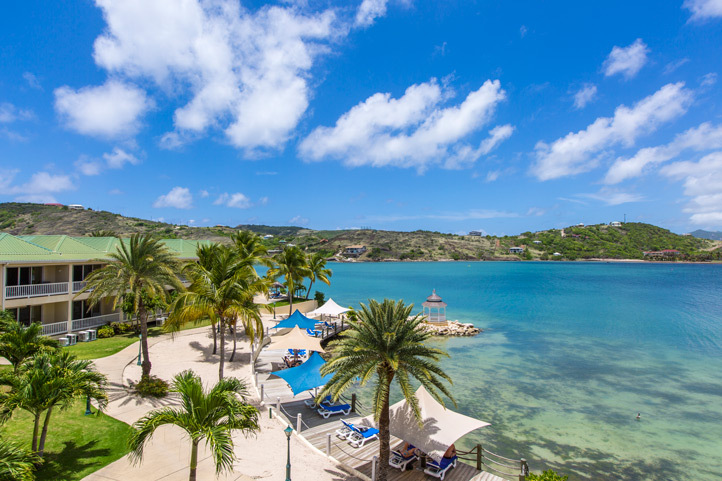 A: English Harbour is just 5 minutes away from the resort. Q: Is there a gift shop at the resort? A: Yes, open daily from 9:15am-10:15pm. We also offer a deli that is open daily from 10am-6pm (10am-4pm on Sundays) which offers snack items, wine, beverages and other sundries at an additional charge. Q: Are there any nice restaurants located near the resort? 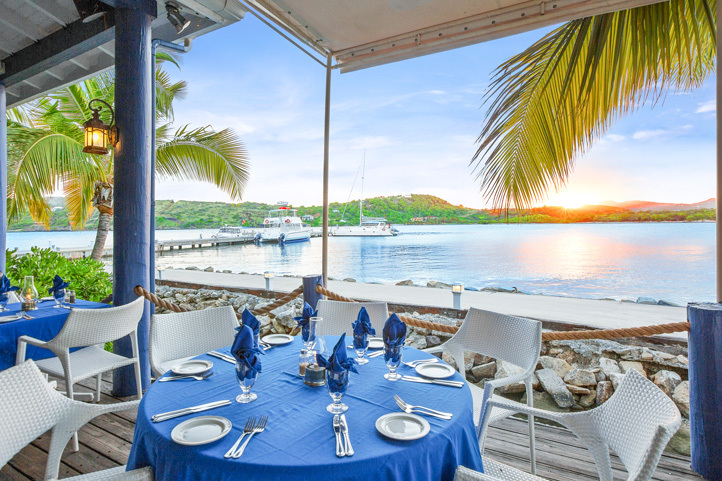 A: There is a great selection of restaurants in and around English Harbour. The cost of a taxi is US$30 round trip. Q: Are beach towels provided? A: Yes, beach towels are provided for your convenience. Q: Is waterskiing included in the package? A: No, Waterskiing is not an activity available at St. James's Club. Q: Is snorkeling available off property? A: We have snorkeling trips daily, available at a fee. The snorkeling gear is included and you can snorkel on any of our two beaches free of charge. A: No, we do not offer parasailing or jet skiing. Q: Is there scuba diving and how much are the dives? A: There is a Dive Shop on the premises. Charges vary per dive. Q: Is golf included in the package? Q: How far away are the golf courses? A: Cedar Valley and Jolly Harbour courses are both about 35 minutes away. A taxi will cost between US$30-35 to both one way. Q: How many tennis courts are there and what type of surface are they? A: There are six tennis courts. Two have artificial turf and the other four are hard surfaces. Q: Is there a tennis pro at the resort? A: We have a highly skilled tennis pro and lessons are available for a fee. Q: Do you provide a shuttle into town? A: Daily shuttles to the capital city, St. John's, are available Monday - thursday except Sundays & public holiday sfor a small fee. Shuttles are also available on Sundays for visits to Shirley Heights. Q: Can I rent a car? A: Car rentals are available from the Lions Desk at the resort. Daily rates start at approximately US$55. Q: Can I use a US driver's license? A: No, you'll need to buy a local driving permit for US$20. Q: Do you have valet or self parking? A: Two parking lots are available for self parking. Q: Can I book tours & excursions from your resort? A: Yes, we have a Tour Desk at the resort where you can book any excursion in Antigua. The desk is open from 9am to 5pm seven days a week. Q: Do you rent bikes or mopeds? Q: Can you arrange day tours and excursions? A: Absolutely! We have a wide range of excursions available. The Tour Desk will provide all the information you need and will reserve the trips for you. Q: Are there ferries or excursions to other islands? A: There are many excursions and boat tours to neighbour islands such as Barbuda and Montserrat. Q: Is horseback riding available? Q: Do you arrange transportation to nearby churches on Sundays? A: The Guest Services Staff will be happy to arrange this for you at a cost. Q: What services does your beauty salon/spa offer? A: Among the many fabulous treatments that our Tranquility Spa offers are Stress-Relieving Massage, Eye Zone Wraps, Peidcures, Manicures, Aromatherapy Massage and much more. For a relaxing oceanside treatment ask Guest Services about The Sanctuary, our lovely poolside treatment center. Q: Is babysitting available? At what charge? Q: Where can I find groceries and general shopping needs in Antigua? Q: What do I need to know concerning illness & food allergies liability? The Resort’s food and beverage outlets use wholesome ingredients, which may include peanuts, tree nuts, seeds, shellfish, shrimp, seafood, soy, milk, wheat, and other potential allergens. Due to the large scale of the Resort’s food and beverage operations, the Resort cannot guarantee that food items will not come in contact with potential allergens even if a particular food does not normally include such ingredients. Guests with food allergies or dietary restrictions should be advised accordingly and take precautions. The Resort is not able to accommodate individually tailored meals for specific guests based on their individual dietary needs. The Resort and its owners, employees, agents, insurers, and suppliers shall absolutely not be liable for any claim, injury or illness resulting from food allergies or specific dietary needs or requirements. Q: What is required at check-in? A: At check-in, guests are required to present valid government-issued identification (passport, driver’s license, ID card) along with a valid major credit card. This helps us confirm your arrival, and helps protect our guests by assisting with our fraud prevention measures. At check-in, a US$350 pre-authorization will be processed on your card to cover any incidental purchases or similar expenses. 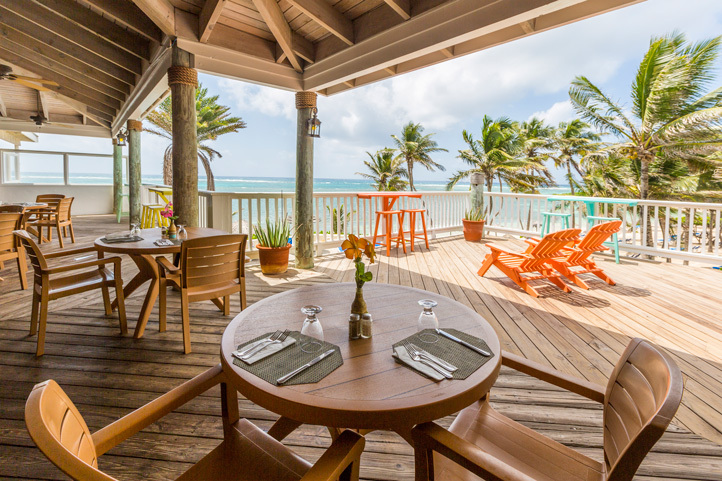 Incidental purchases may include things like tours, excursions, gift shop purchases, and dining in our specialty restaurant. We understand that not all guests incur additional charges during their stay, but this process all assists the resort with fraud prevention. The pre-authorization is released at check-out, assuming you have not charged any purchases to your room.